When an emergency strikes, you want to rely on a company that reacts immediately and leaves nothing to chance. All-Time Detection offers you fire detection systems that will protect your home and ensure the safety of your loved ones. All-Time Detection is a UL Certified protective signaling company, meaning that our systems meet the strict standards that are needed by companies who install fire detection systems nationwide. 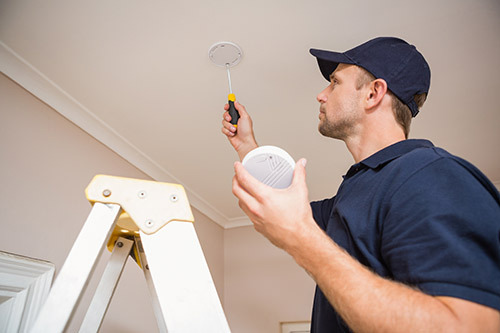 Our team of highly trained engineers and technicians will design and install a fire detection system that protects your home and meets all local building codes. Our systems have the ability to monitor 24 hours, 7 days a week, 365 days a year. They can detect and determine the difference between freeze, smoke, and heat, so the right authorities can be alerted to the appropriate emergency. Our fire detection systems are easy to understand and use; in case of a panic, you can do what is needed with little hassle. At All-Time Detection, commitment and customer satisfaction are what make up our core values, which is why we only supply our customers with high quality products and services. With more than 60 years of experience and investing in a quality service infrastructure we have built a reputation of exceeding the expectations of our customers and putting their safety first!